Francis Mallmann is South America's most famous chef, which really ought to afford him more of a measure of North American fame than he's had up until now. It's not that he hasn't tried: there was an appearance on Bourdain's No Reservations, the right sorts of profiles in the right sorts of places, not to mention tv shows, interviews, and accolades from this or that international gastronomic body. Still, for some reason true Stateside fame has eluded him — until now. 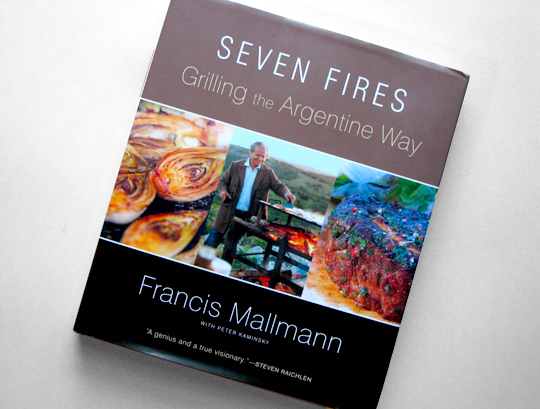 You probably will start to hear more about Francis Mallman soon, and this is a good thing: with the recent publication of his book Seven Fires: Grilling the Argentine Way (buy on Amazon ), co-written with Peter Kaminsky, he's laying down a strong bid to be a culinary star in the America he hasn't yet conquered. 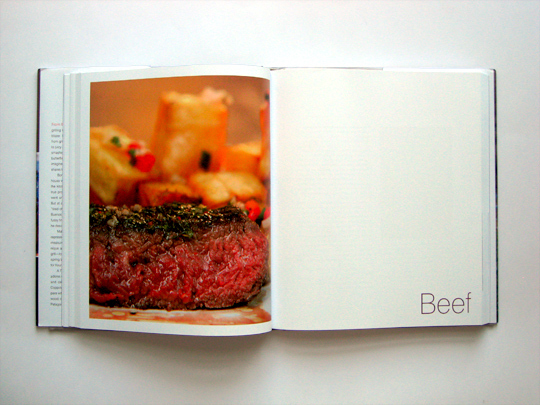 To perhaps oversimplify, Seven Fires is a grilling book. Mallmann is a classically trained chef who spent years in Europe cooking for storied masters, before finally realizing that it was the simplicity of meat and fire that really spoke to him, both as a chef and as a person. That said, this is certainly not the sort of Father's Day-lite barbecue title that chuffs for beer-can chicken or boggles at the novelty of putting fruit on the Weber. This is, in Mallman's own words, barbaric cooking: the goal is not some suburban mastery of the grill, but a virile, primitive, godlike ability to control fire itself. The seven fires of the book's title refers to seven varieties of fire-based grilling techniques, from the common parilla (a grate over a flame) and chapa (a flat closed surface, like a griddle or plancha) to the Dantean: the asador (a crucifix-like vertical spit) and infiernillo (two parallel fires, stacked, with a narrow cooking space between them). With these seven techniques, it's possible to make essentially anything using an open flame, from the simplest seared meats to the most delicate pastries. 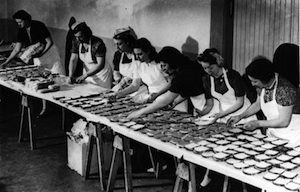 Even burnt food gets its due: "the right amount of burning or charring can be delicious and seductive," says Mallmann. The key is merely learning how to burn your food in moderation. For all the book's promises of primal reconnection with fire, the food Mallmann presents is surprisingly — and beautifully — delicate. There's so much more than just throwing hunks of meat over the flames: Mallmann touches on everything from scallops to crepes, drawing on the near-infinite combinations of reference points in Argentine cuisine. Whether a dish culls from French, Gaelic, or native Incan, it couldn't matter less — what matters is that it tastes good, and that it's cooked beautifully. An appetizer preparation of ricotta salata with tomatoes and olives (p. 37) tweaks a classic Mediterranean set of flavors by mixing the ricotta with hot chiles and then burning the mixture on a searing-hot skillet; a very Spanish shrimp preparation is served over spaetzle (German) under a mountain of Parmesan (Italian; all p. 142); and a whole baby lamb roots itself in both the Middle East and the New World by roasting over onions and bell peppers nested in the coals (p. 112). The recipes are almost strikingly simple — these are the sorts of dishes that demand meats and produce so fresh as to almost defy the space-time continuum — and, if you can get your fire right, are nearly foolproof. Of course, no book built on a premise of balls-out barbaric cooking would be complete without a few stunt recipes. If the ambitious home cook is bored with Brook Trout in Crunchy Potato Crust or Omelet Gramajo, he is invited to attempt Una Vaca Entera (first ingredient: "1 medium cow, about 1400 pounds, butterflied, skin removed") — but it's presented with a wink and a smile. 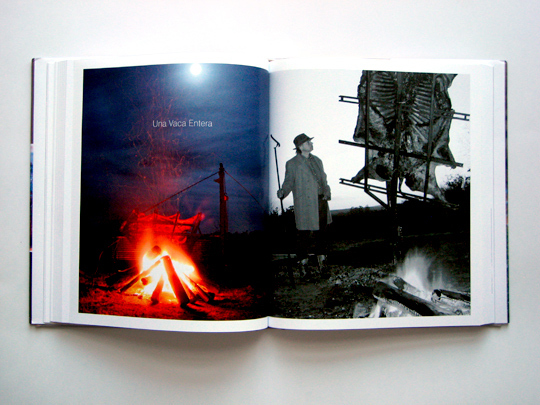 The epic photographic documentation is proof it can be done (poignantly, the carcass is silhouetted black against the sunset as it's raised into position), but the wry prose is enough to dispose of any dilettantish guilt over not actually going out and buying a cow. More accessible (though still dramatic) are the preparation and presentation involved in dishes like Salt-Crust Leg of Pork with Honey Gremolata (p. 131), in which an entire hock needs to be sledgehammered out of a 24-pound salt prison; or Whole Andean Pumpkin Salad with Mint, Arugula, and Goat Cheese (p. 211), in which an ember-cooked whole pumpkin is sliced open tableside and an a la minute salad is made in its hollow before the clouds of steam have a chance to dissipate. Let it never be said that there is any shortage of showstoppers in Mallmann's repertoire. Still, for all the grandstanding, if there's one flaw in Seven Fires, it's that it tempers its own extremity in order to be accessible to the home cook. This is hardly unexpected — we can't all build infernos in our backyards, and even if you do live on thirty acres in the middle of nowhere, it's much easier to just pull out a cast-iron skillet than to get out the soldering iron and build a chapa — but it's a little bit of a letdown. After all, Mallmann spends a good portion of the book's opening pages waxing rhapsodic about the unduplicatable qualities of fire-cooked food, and if you buy what he's selling, the idea of using a pre-heated oven or a broiler rack (two of the numerous alternate cooking directions that accompany nearly every recipe) feels like a pale substitute. But this one flaw is, in its own way, actually something to Mallmann's credit. This unselfconscious, infectious excitement is precisely what could help push him over the edge into conventional American food-stardom: his pyro-evangelism is seductive (if veering occasionally towards self-parody), and I found myself wanting to be firmly told to denounce the modified home-cooking methods, to go out and build authentic, towering infernos, and then cook meat on them. And that's the book's greatest asset: Seven Fires ignites that kind of excitement, and then carries it through as we turn the page to refined, surprisingly harmonious recipes. With that kind of control over his audience at his disposal, Mallmann won't be unknown for long.